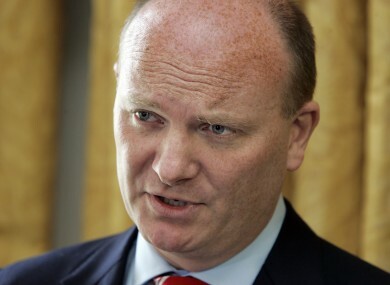 A HIGH COURT has been asked to deal with a number of pre-trial matters in a defamation action brought by businessman Declan Ganley against RTÉ. Ganley claims a November 2008 RTÉ Prime Time programme defamed him in using words or innuendo which, he alleges, meant he had links to organised crime; had falsely claimed he was a paid advisor to the Latvian government; was somehow involved in the death of a man with whom he had a close business relationship; caused a fund to lose the life savings of thousands of Albanian pensioners and was covertly working for the US Central Intelligence Agency and/or “an ill-defined group known as ‘Neocons’”. RTÉ denies defamation or that the words complained of meant what Ganley alleges. The broadcaster has also pleaded truth or justification and that the “sting” of the words, taken as a whole, was Ganley had a tendency to make false or exaggerated claims in respect of business or other matters. The defamation case was initiated in 2012 and a trial date has yet to be set. At the High Court today three pre-trial motions, two brought by Ganley and one by the broadcaster commenced before Justice Max Barrett. In his motions Ganley, represented by Paul Burns SC and Declan Doyle SC, seeks to have have aspects of RTÉ’s defence struck out, including that Ganley had a tendency to make false or exaggerated claims in business matters, which he denies. He also seeks orders requiring RTÉ to comply with discovery orders previously made by the court, which his lawyers claim it has not done. RTÉ, which opposes the businessman’s applications, has applied to have Mr Ganley cross-examined about issues arising from documents discovered in the case. RTÉ, represented by Paul O’Higgins SC and Luán O Braonáin SC, says the businessman, who has sworn three affidavits on discovery, has not made proper and full discovery in the case. In response to Ganley’s motion, RTÉ said it has filed an affidavit of discovery and documents with the High Court under seal, and argues that the materials should not be made available to Ganley and his lawyers until he has made full and proper discovery. RTÉ’s application is opposed by Ganley, who rejects the broadcaster’s claims in respect of discovery made by him. The hearing, which is expected to last for three days, continues. Email “Declan Ganley alleges RTÉ defamed him by implying he had links to organised crime ”. Feedback on “Declan Ganley alleges RTÉ defamed him by implying he had links to organised crime ”.